Cori is a female golden/lab mix who was born on September 16, 2016 at a service dog organization. 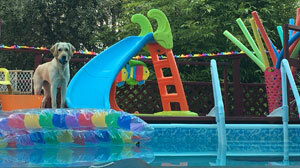 She was donated to our non-profit, Puppy Prodigies. 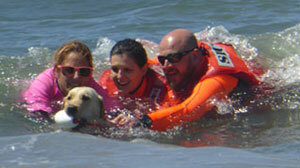 Like Ricochet, she has chosen her own life purpose, and is already trying to save lives. 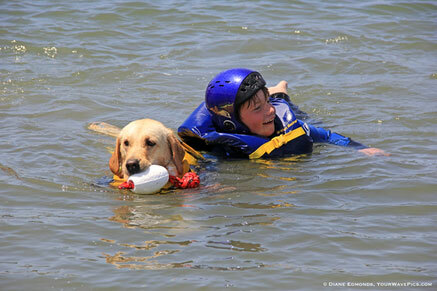 Her favorite activity, besides food, is water rescue. 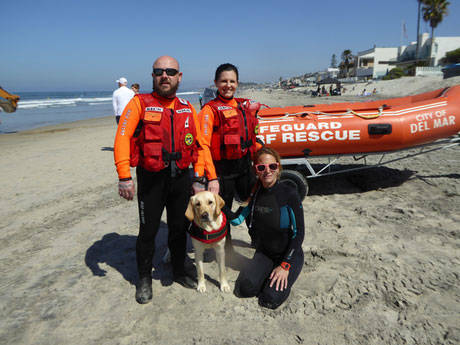 Although she has a natural instinct to immediately respond to activity in the water, she is also being formally trained to perform water rescue in case the need ever arises. 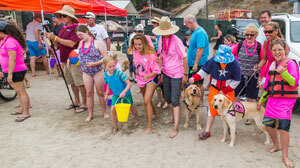 But her main area of focus is her own little niche... ​Canine-assisted swimming, coupled with canine-assisted playing for kids with with autism, special needs, fear of the water or other challenges. 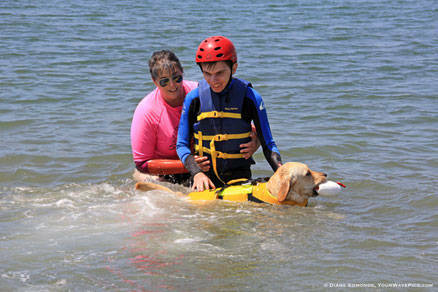 ​This is what Cori's canine-assisted swimming program is all about. This little girl is scared of water. But watch how different she is when doing a back float with Cori vs. our swim instructor Jodi, from Special Fishies: Aquatic Freedom and Education.